Pavel Podvig asks a fairly provocative question: What if all the nuclear states gave up their warhead inventories and N.Korea was the only nuclear-armed state left? 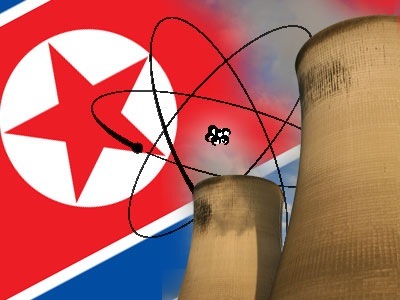 To begin with, existing nuclear weapon states’ arsenals (and the U.S. arsenal in particular) have already failed in what many believe is one of their primary missions–dissuading countries such as North Korea from building a nuclear weapon. The key premise of the “dissuasion” theory is that if the United States maintains its large nuclear arsenal and extensive nuclear infrastructure, no country will try matching it. Yet, it never worked that way, and it shouldn’t be a surprise that it didn’t work that way with North Korea. The question is, of course, a rhetorical experiment but one that does challenge many of the conventional wisdoms about the value of nuclear deterrence. Definitely worth a read. Air Power Australia has a handy overview of ground-based counter-air jammers developed by the Soviets & WP states (including the infamous SPN-series “Heart Ache” truck-mounted kits). These systems would have been critical in any WW3 scenario (just imagine drastically cutting the practical detection range of NATO’s AWACS aircraft) and continue to be valuable assets for disrupting the C4I/ISR network of any sophisticated adversary. Stratfor has a very interesting editorial on the global significance (or, in their view, the lack thereof) of the recent North Korean nuclear test. Along the way it provides a broad look back at the political & geostrategic effect of nuclear weapons so far. So through it all, the world carried on, its fundamental dynamics unchanged by the ever-present threat of nuclear war. Indeed, history has shown that once a country has acquired nuclear weapons, the weapons fail to have any real impact on the country’s regional standing or pursuit of power in the international system. Nuclear arms are better understood as an insurance policy, one that no potential aggressor has any intention of steering afoul of. Without practical military or political use, they remain held in reserve — where in all likelihood they will remain for the foreseeable future. Multiple news sources are reporting that, following Sarkozy’s inauguration ceremony, the new French maritime installation at the port of Abu Dhabi has officially commenced operations. 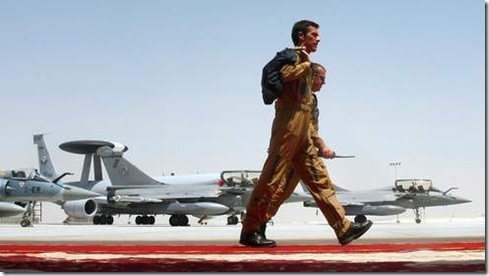 The so-called French Military Establishment in the United Arab Emirates (IMFEAU), also referred to as the “Maritime Peace Camp”, is located critically close to the straights of Hormuz and will enable French naval forces to operate with much greater autonomy in the Persian Gulf region, supported by air assets operating out of the nearby Al Dhafra airbase. (A detachment of at least 3 fighters and support aircraft will reportedly be stationed permanently). "Through this military base — the first in the Middle East — France is ready to shoulder its responsibilities to ensure stability in this strategic region," Sarkozy said in an interview with the state news agency WAM. Not coincidentally, the French continue to lobby the UAE for a possible order of up to 60 Rafale fighters to replace the Emirate’s fleet of ~60 Mirage-2000s. “If the Air Force does not meet its schedule goals for development of GPS IIIA satellites, there will be an increased likelihood that in 2010, as old satellites begin to fail, the overall GPS constellation will fall below the number of satellites required to provide the level of GPS service that the U.S. government commits ,” the GAO stated in its report.